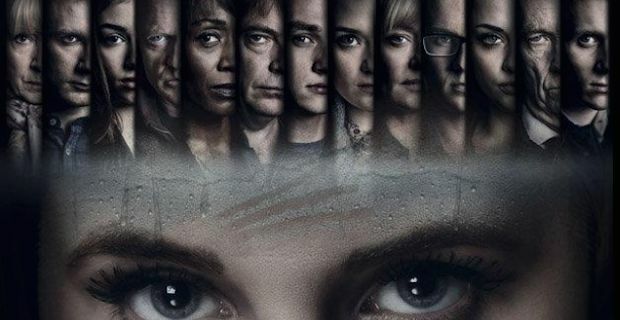 Ten months of not knowing who killed Lucy Beale has really whipped Eastenders fans into a frenzy as we will finally all be put out of our misery this week. A #WhodidntkillLucy hashtag has been doing the rounds online and attracting some really funny comments. The hashtag is a clever firestarter that was started by the @BBCEastenders Twitter account. Fans have been using it as a clever mechanism in order to deduce who Lucy's actual killer is by eliminating suspects that they feel definitely didn't kill her. Singer Shaggy has officially been given the all clear by the twitterverse in relation to Lucy's murder. Craig, using the handle @Electric_Otter, tweeted "#WhoDidntKillLucy Shaggy has released an official statement saying "It wasn't me"." Britney Spears and Justin Timberlake, as a couple, were also thought to be innocent of the brutal murder in what must surely be the most obscure tweet. Another usual suspect was ruled out by @AlexDWilliams who tweeted "Maggie from the Simpson's #WhoDidntKillLucy" which will come as a relief to all in Springfield. Poor Liverpool striker Fabio Borini was also ruled out by @iRyanSinghx who said "Fabio Borini - He can't finish off anything #WhoDidntKillLucy" and rival soap star Roy Cropper was also not a legitimate runner according to @coral who said "#WhoDidntKillLucy Roy Cropper- that's just not how he Rolls." The great news from all this online detective work is that real suspects are starting appear. Bookies have Dot Cotton at 300/1, Max is not such a long shot at only 25/1 while the clear favourites are Queen Vic landlord Mick Carter at 6/1 and Jane Beale at 5/1. @wfvaughnan is betting on Dot after tweeting "Dot Cotton, in the Arches with 200 menthol lights - #WhodidntkillLucy".